Launching a new artist with this generic a single does a tremendous disservice to their budding career. “Kiss You in the Morning” sounds exactly like everything else on the radio. It covers the most well-trodden lyrical ground in today’s country music. Ray’s a decent enough singer and the production is controlled, so it’s not memorable for being bad. Trouble is, it’s not really memorable at all. How is this particular song supposed to perk the ears up of country music listeners? A debut single should immediately have us asking, “Who is that?” There is nothing in “Kiss You in the Morning” that makes you want to ask that question. But those artists got another shot. These days, one single can be enough to sink a career. I hope, for his sake, that Ray gets another opportunity to showcase his talent. For someone’s dream to begin and end with “Kiss You in the Morning” would be a travesty. Discussion: Play the New Stuff, or Stick to the Hits? If you can find it, Ray issued an EP of songs he wrote – two of its songs, “G.R.I.T.S.” and “Price of Freedom” should be revisited. He has the talent to be a star. Whether or not it will happen remains to be seen, I don’t think this single will be a career killer since it fits in with what radio is playing these days. I agree with your D rating. While I agree with what the review is saying, it doesn’t always apply. The first song I heard by David Nail was the beautifully written and sung ‘I’m About To Come Alive.’ The song went nowhere. Since that time, Nail has released several well-written songs that bomb at radio. It’s his fluff pieces that usually hit the Top 5. I’ll never understand why so many artists have to build their careers with medicore songs in order to get to a point of success where they can then showcase their true ability with much better material. If the trade-off is hearing many quality singles down the line, then I can think we can stomach this one. An artist has to be established to release the heavy ones. Carrie Underwood wouldn’t open with “Blown Away” if she was a new artist trying to establish a niche. OT, but I liked “Welcome to the Club”…and pretty much everything else on Tim McGraw’s first album, for that matter. I always thought it was a crying shame nothing off that album was a hit, because it was pretty solid all the way through. This guy won his record deal with Warner Bros. after he won the only season of “Then Next” which was a singing competition on The CW. The judges were Joe Jonas, Gloria Estefan, Nelly and John Rich. John Rich mentored him a little on the show. It took three years but now he has his debut single out. If John Rich mentored him then no thanks. I’m late to this but to be honest this guy screams rip off Luke Bryan FGL whom of which I already hate this song is so boring and predictable. I wanna kiss you running red lights line makes me laugh man I hope they pull this idiot over. 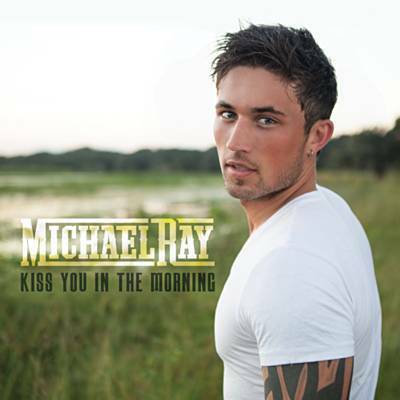 Perhaps Michael Ray can surprise me in a successive release…………but Michael Ray a decent enough singer here? Add to that Florida-Georgia Line-esque pigeon English (“Kiss you like a lets go…”, “Girl your funky little back beat has got me feel like I’m tipsy…”)…………..and this is one of the most insufferable singles on the airwaves presently. A blood red F, no recommendation………….and I will add I am quite optimistic we won’t have to suffer this jalopy much longer because its sales have been poor thus far.